One sure sign of Spring is the arrival of the first robin. We have already seen the first robin in our yard, how about you? 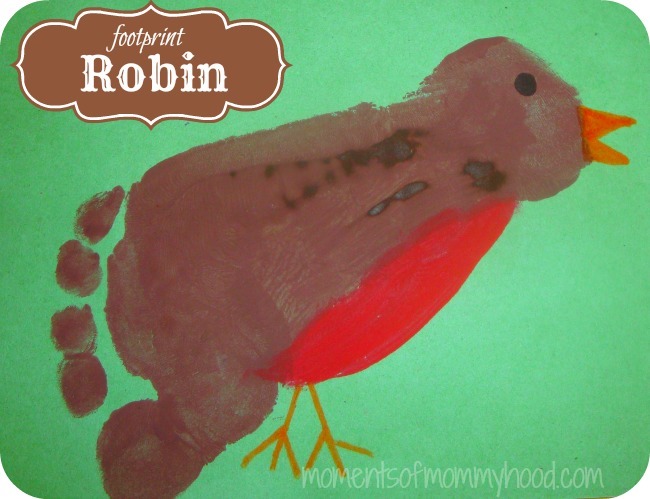 Well, whether or not he's made an appearance, you can make a robin of your very own using just some paint and your feet! 1. Paint a foot brown and print it on a piece of paper. You may have to fill in the arch a bit. 2. Paint the robin's red breast. 3. Add feet, a beak, and an eye. Welcome to Spring, Mr Robin! How cute. I'm totally not good in drawing, painting and the likes. The only thing I could draw perfectly is a tree! haha..